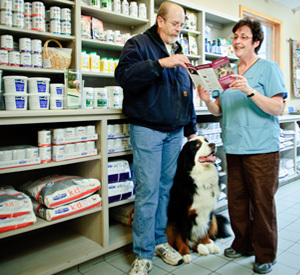 Delavan Lakes Veterinary Clinic carries a wide variety of premium and prescription pet foods and quality pet care supplies. We would be happy to help you with any special order needs—give us a call at (262) 728-8622. Dental products - dental chews, rinses, toothpaste, and toothbrushes.